Art of Information Technology Limited (Art of I.T.) is incorporated by a group of IT specialists in the payment industry. It offers the best practice payment solutions which are carefully tailored for individual merchants. Art of I.T. is an accredited Paymark reseller and a recognized business partner of EFTPOS New Zealand. Its payment solutions connect to all major acquirers and banking networks in New Zealand, and it works closely with the key players in the payment industry to ensure its customers are always offered the best products and services in the market. Art of I.T. is a preferred business partner of DPS, and specializes in DPS Payment Express integrated POS systems and Ecommerce solutions. Art of I.T. also has extensive experiences in standalone payment solutions. 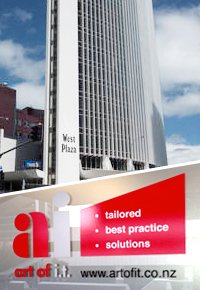 In order to offer extended services to its customers, Art of I.T. has teamed up with local TELCOs, hardware and consumable distributors, and IT service providers. It is a “one stop” service provider for merchants who requires professional IT services. Our Vision: Art of I.T. understands that business success doesn’t happen by chance. Any successful business is made of the owner’s dream, reputation, passion and strategies. Art of I.T. helps merchants achieving better business performance through innovative technologies and its constant commitment to innovation, simplicity and reliability.